Alexander Cheburkov crafted this small Puuko/Hunter. 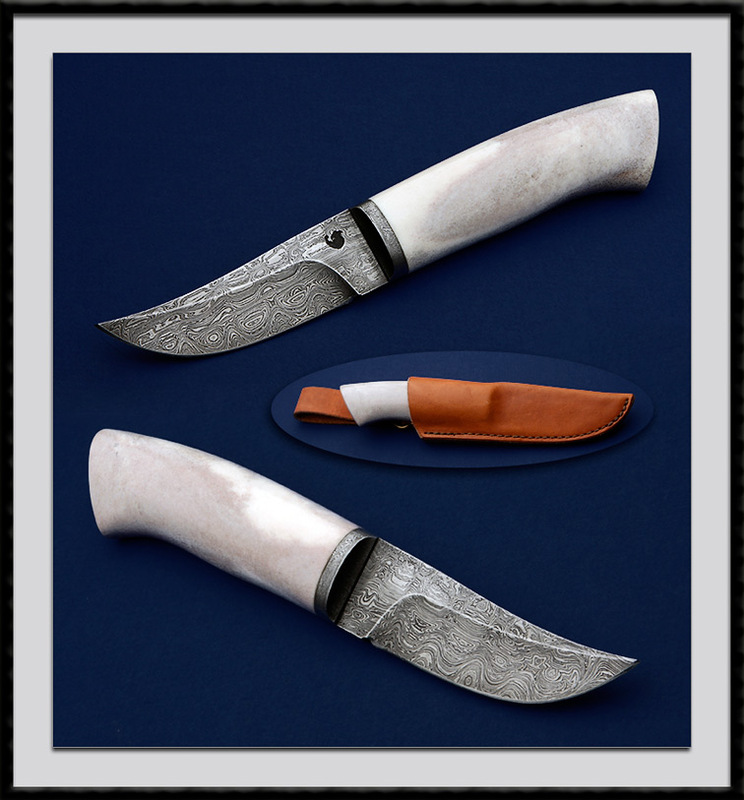 Damascus Blade, BL = 3 1/2", OAL = 8 1/4", Damascus guard, Antler bone handle. Fit and finish are very good. Comes with the pictured Custom sheath. Condition is new.